This is an exciting opportunity to join the Physiotherapy Department at Werribee Mercy Hospital, an expanding health service that is committed to ensuring high quality, evidence-based, person-centred, safe and effective patient care. This position will be an integral part of the physiotherapy and allied health team in providing contemporary care to patients across acute wards and our community palliative care service. The role is to provide quality, evidence based, person-centred physiotherapy services to acute inpatients (which may include medical, surgical, orthopaedic and ED clinical streams) and also to inpatients and community patients in Mercy Palliative Care, ensuring a holistic approach to the patient, their families and others. 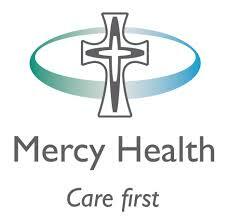 Werribee Mercy Hospital is a General Public Hospital located in the rapidly growing western suburbs of Melbourne. Our services include surgical, medical, maternity, newborn, renal dialysis, emergency, mental health, rehabilitation, aged and palliative care. The hospital is currently undergoing significant expansion with a number of exciting capital projects currently underway, including an $85 million State Government funded redevelopment that will deliver a new critical care unit and take the total number of beds to 298. Join us now and be part of our team as we expand to serve our community. - The role is to provide quality, evidence based, person-centred physiotherapy services to acute inpatients (which may include medical, surgical, orthopaedic and ED clinical streams) and also to inpatients and community patients in Mercy Palliative Care, ensuring a holistic approach to the patient, their families and others.